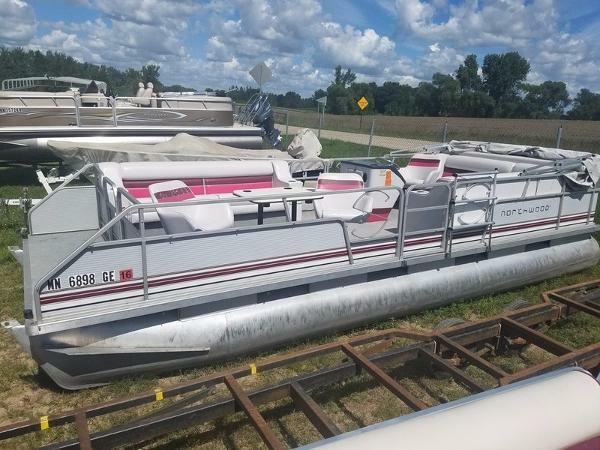 1992 Northwoods Pontoon 1992 Northwoods Pontoon 17' Northwoods Pontoon with 15 Hp Evinrude Motor. PRICE IS FIRM AT $1500. THIS IS "AS IS" SALE & CASH ONLY. Engine runs, but needs a tune up. 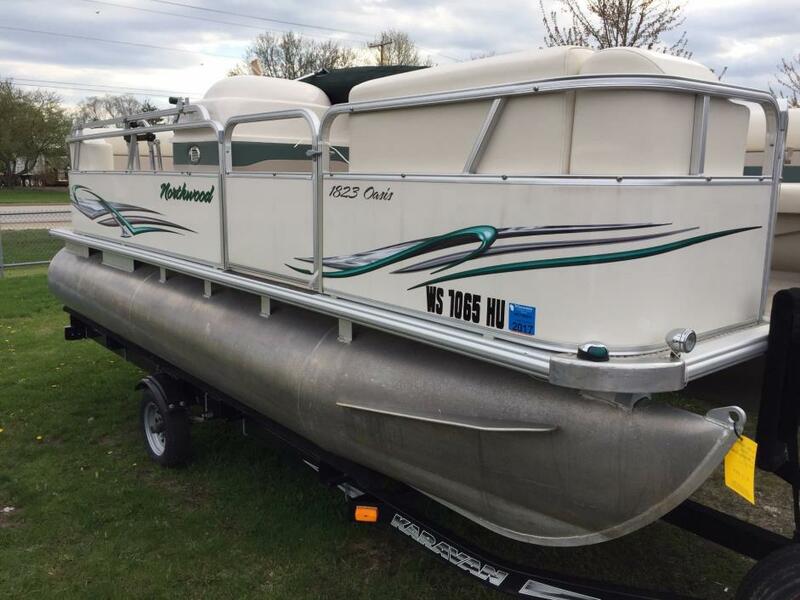 2011 Northwood 1823 Oasis THIS USED BOAT PACKAGE INCLUDES: 2011 NORTHWOODS 1823 OASIS, MERCURY 50 ELPT 4S, TRAILER NOT INCLUDED IN PRICE! MOORING COVER, AM/FM/MP3 STEREO, AND STARTER BATTERY. 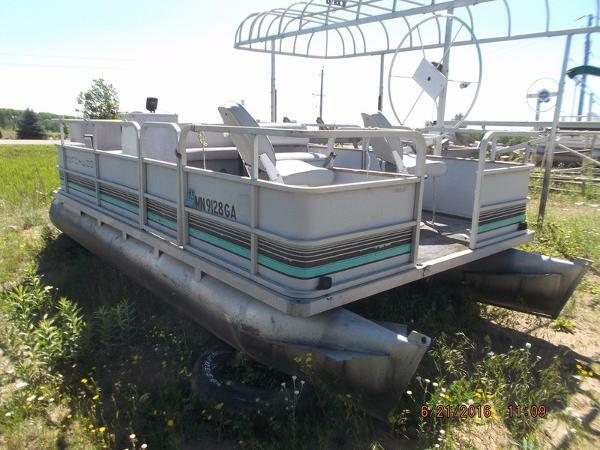 CALL MARINE SALES @ 920-788-0220 FOR YOUR BEST DEAL! 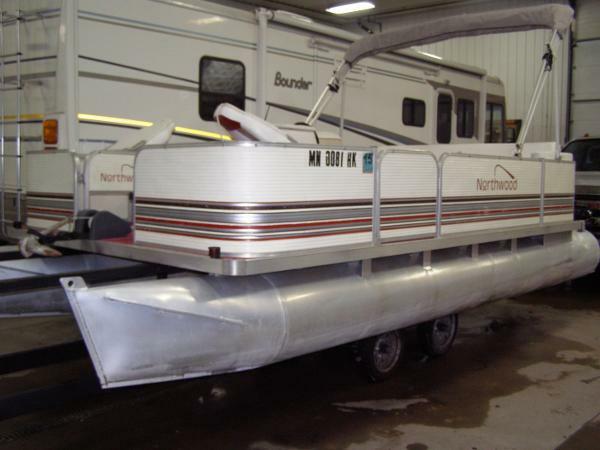 1997 Northwood 18 Fish Here's the cutest little pontoon ever in really nice shape! 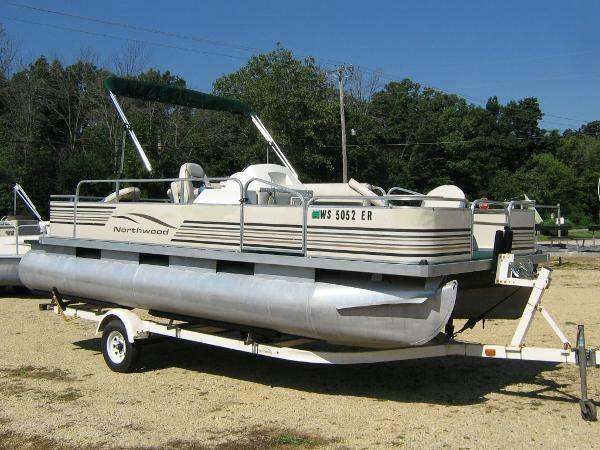 This 1997 Northwoods 18' Pontoon has been reconditioned and certified ready for the water. The 40hp Mercury Force is pre-mix oil so never a worry and has been marine inspected for leakdown and compression. New seating everywhere except the front to fishing seats, has a livewell, power anchor, new bimini top! Floor is solid, red carpet is average. No cover or trailer. You can borrow a trailer to get it home! Consignment unit so cash buyers pay no tax!! You must call Denny for an appointment to view. 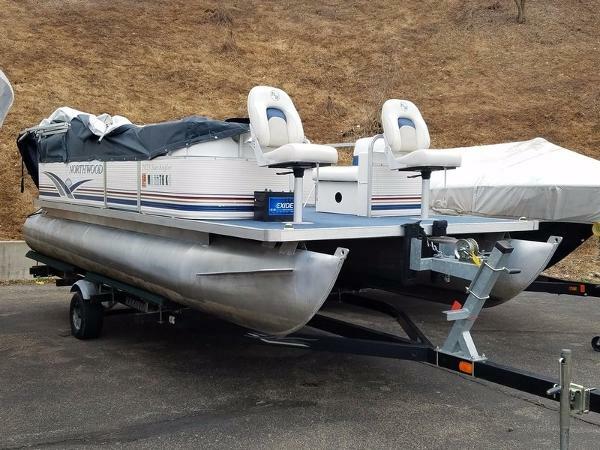 This pontoon is currently shrink-wrapped for the season. 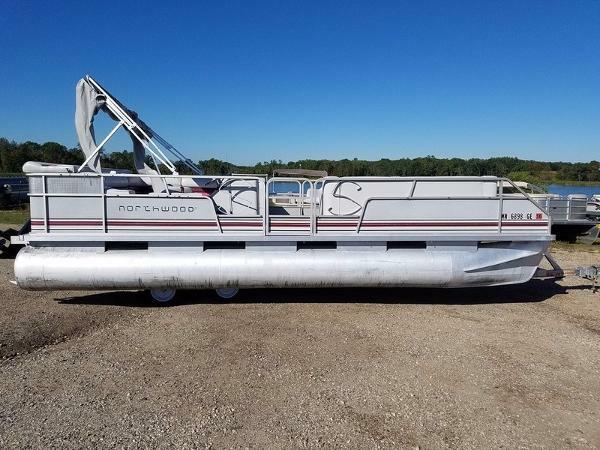 1995 Northwood Pontoons Cruiser This is a 1995 24' Northwoods pontoon that is powered by a 2008 Honda 40hp 4stroke EFI motor. Boat has been serviced and detailed. 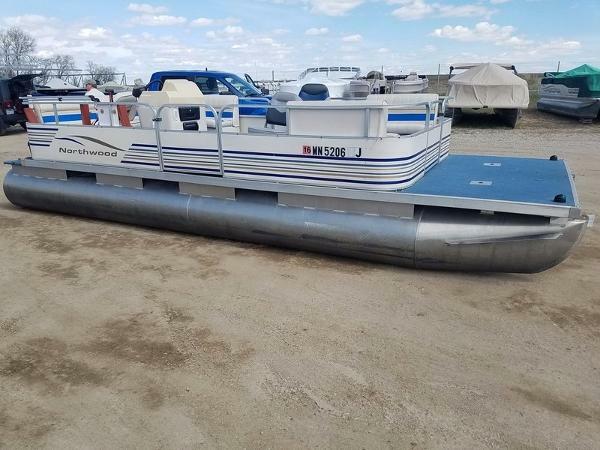 This boat does NOT come with a trailer. We have replaced the water pump and have put a new Sony stereo in the boat. Load up the friends and family for a day out put putting around. - Nice motor on this one!